Leslie Nielsen combats the Mythos! I stumbled across this little oddity recently and thought it deserved a mention. 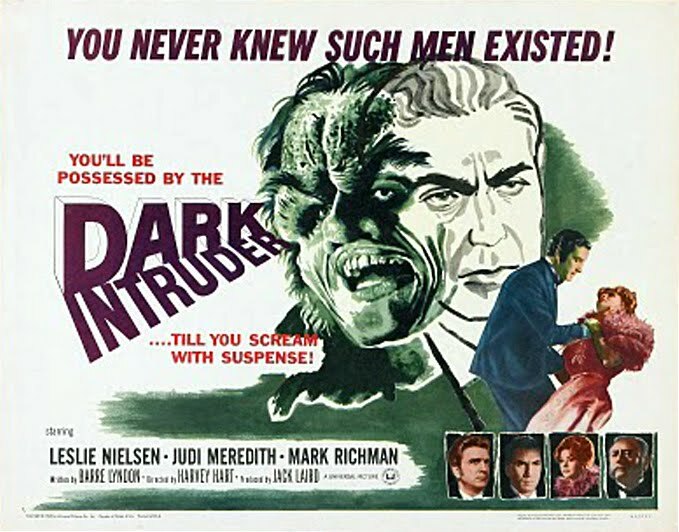 Dark Intruder is an unsold TV pilot from 1965, starring Leslie Nielsen as the playfully sardonic psychic detective Brett Kingsford. The whole thing is rather fun, and I imagine that if it had been picked up as a series it would be a fan favourite to this day. It is sometimes jarring to be reminded that Nielsen was a dramatic actor prior to Airplane!, often cast as square-jawed hero types. While there is a tongue-in-cheek element to his performance here, it is still worlds away from Frank Drebin. Despite being set in 1890s San Francisco, this tale of intrigue and black magic feels more like a story from the heyday of the pulps. It also contains a couple of tantalising references to Lovecraft’s work, complete with a bit of Great Old One name-dropping. The threat at the centre of the story even feels like a mash-up of The Dunwich Horror and The Thing on the Doorstep, although perhaps without the inventiveness of either. The film is just under an hour long and well worth a watch if you’re a fan of old-fashioned pulp horror. The Daily Motion link below will let you watch the whole thing.